Gone are the days when new car dealerships located inside the Amsterdam City limits. 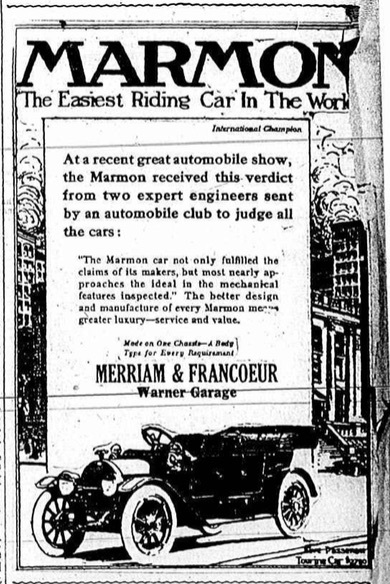 I can remember when we had as many as seven operating here at the same time, including Parsons (Ford), Quinn-Flynn (Lincoln Mercury), Tessiero (Chevrolet), Habarek (American Motors), Miller Motors (Buick & Pontiac), J&B Auto (Chrysler & Plymouth) and Hosners (Cadillac & Oldsmobile). Today’s Amsterdam Birthday Blog celebrant was partners in the very first Ford dealership to open its doors in the Rug City. You can read the rest of my story about Francouer in my new book “A Year’s Worth of Amsterdam Birthdays.” To order your copy, click here.